…then check out this month’s Mintd Box. If you are feeling the need for a skincare overhaul this winter then look no further, Mintd‘s got your back. The November beauty box is all about winter-proofing your skin to combat cold weather and central heating. November’s Ultimate Winter Skincare Guide includes products focused on hydrating, repairing and protecting your skin this winter, and boy do I need that. My skin goes crazy in the winter months, I will take all the help I can get! The world of beauty boxes is a confusing place these days. There are so many to choose from, it can be hard to know if they’re good value. 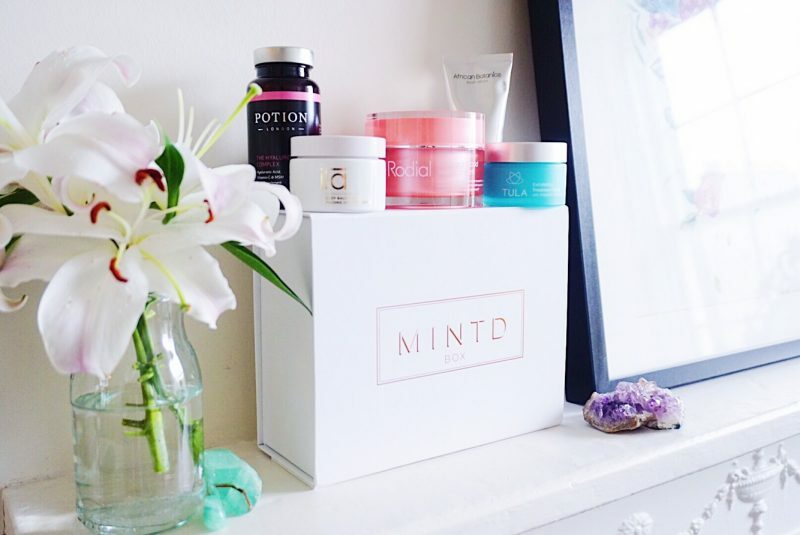 Mintd Box approaches the beauty subscription scene from a different angle. The focus of each box is to create a collection of full-size, luxury products that work together. Delivering you a new regime with each box you receive, whether that is monthly or bi-monthly (you choose). It is a great way to discover innovative brands. This is my third Mintd box, and I have loved them all! You can check out my previous reviews here: Spring & Bridal. A subscription with Mintd costs £65 (monthly or bi-monthly). 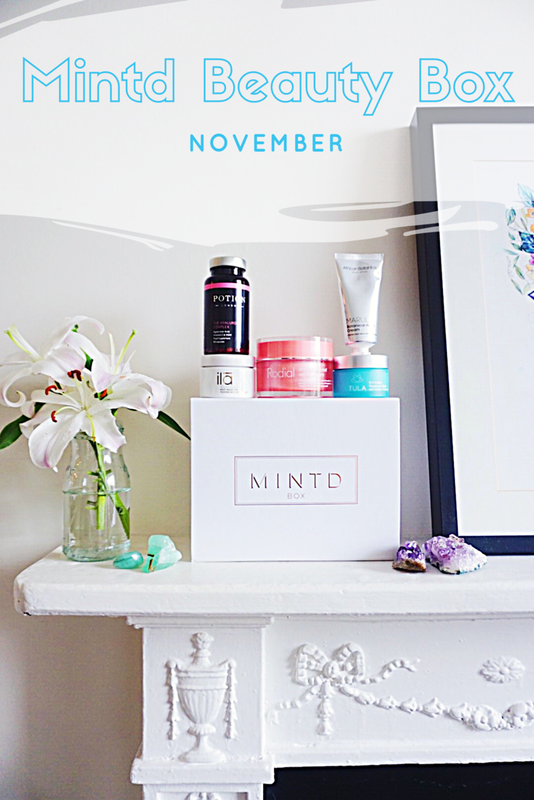 The November Box includes 5 luxury skincare products valued at a total of £256, saving you a massive £141. The collection, as always, is well thought through. Inclusive of rich creams, supplements to hydrate your skin from within and a treatment mask to exfoliate dead & dry winter skin. I love that a hand cream is included, my hands are always first to show the effects of winter! Receive free delivery worldwide on your first box when you use promotional code WELCOME17. What’s in November’s Mintd Box? This is my second Tula product, and boy do I love this brand! This dual-phase treatment mask cleanses and exfoliates the skin to remove dead skin cells. It’s perfect for winter skin as it cleanses pores while helping to smooth the skins texture. It makes the perfect prep to allow the rest of your skincare routine to penetrate and treat your skin. Apply a thin layer of the mask to clean, dry skin, avoiding the eye area. Leave on for five to ten minutes, dampen your fingers and gently massage the product into your skin. Rinse off the entire mask using cool water. The mask is suitable for use two to three times per week. Rodial’s Dragon Blood Velvet Cream is a rich, luxuriously textured cream that offers multi-dimensional hydration. 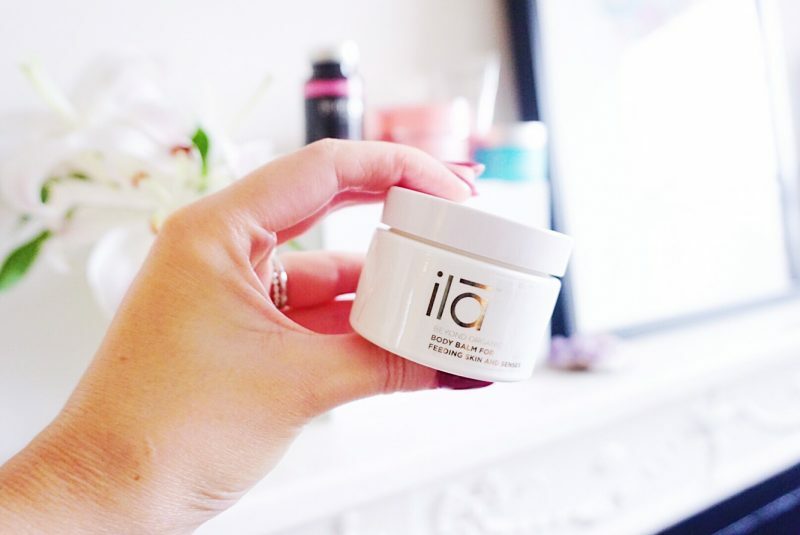 Though rich in moisture, this feels non-greasy on the skin and is the perfect cream that can be used day or night for treating dehydrated, sensitive and red skin. With a unique moisture delivery system, this cream gradually ‘drip-feeds’ hydration into the skin throughout the day. 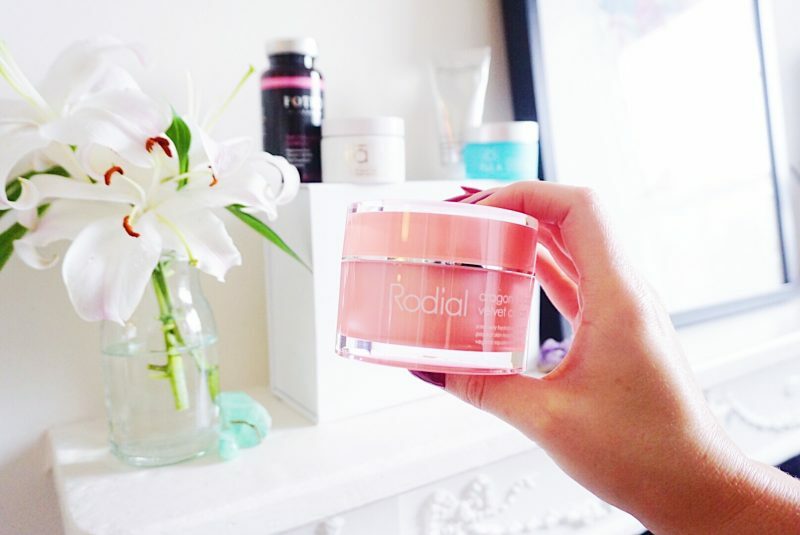 I am always in need of 24 hour hydration in the winter months as my skin can dry out quickly with central heating. It helps to keep your complexion smooth, soft and supple throughout the day. Apply morning and/or evening onto a cleansed face and neck and massage till the cream is absorbed thoroughly. Don’t waste product by not massaging and letting it sit on the surface of your skin! Reapply whenever skin feels dry for extra comfort. 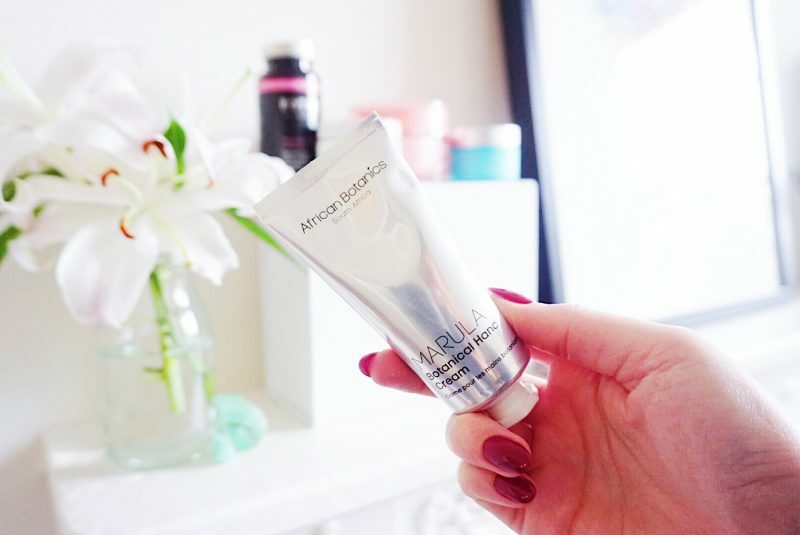 African Botanics’ Marula Botanical Hand Cream is a restorative and hydrating treatment, and the perfect winter treat! The youth-enhancing cream treats dry, chapped, sensitive or irritated skin. Packed with oils, butters and botanicals, this moisturiser is specially formulated to sooth and hydrate hands, while combating the appearance of age spots and evening out skin tone. I love the beautiful scent of Rosemary and Cape Rose Geranium, and it is the perfect size to carry in my handbag! A hand cream is a must for me in the winter, don’t forget to massage it into your cuticle too to hydrate your nails. I am so excited to be adding a third product from Potion London to my collection (you can find a previous review and discount code in this post). Almost half the body’s hyaluronic acid is found in the collagen of your skin. It is the moisture retaining properties of hyaluronic acid which keep the skin hydrated and looking plump and smooth. Hyaluronic acid is a major component of synovial fluid which reduces friction between joint cartilage and acts as a shock absorber and lubricant, and it is found in the vitreous fluid in the eyes, necessary for keeping dry eyes at bay. 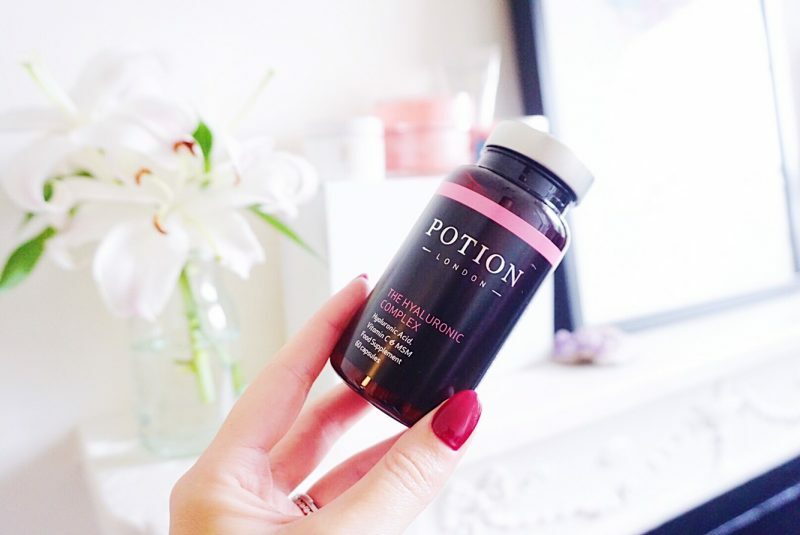 POTION London’s powerful supplement also contains vitamin C and MSM to support collagen function and formation for anti-ageing benefits, and is formulated to complement The Collagen Boost. One a day. Suitable for vegetarians. Subtly powerful, this is a musky, sultry balm – suitable for men too – which has a waxy set-butter texture. You need a little elbow grease to warm and soften it, but wow – when it is rubbed in skin feels so incredibly deeply nourished and protected. It addresses dry skin, psoriasis, eczema, scar tissue and dry winter skin. Ideal for the winter months or for when you really need some extra moisture and protection, senses feel soothed and revived. Warm a little balm in hands and rub into damp or dry skin. Can be used as a massage base or underneath cotton socks for a deeply softening overnight foot treatment. Will you be ordering this month’s MINTD box? PR Samples included, view my full disclaimer HERE.